This chart shows a forecast in the outlook for several developed and developing countries. 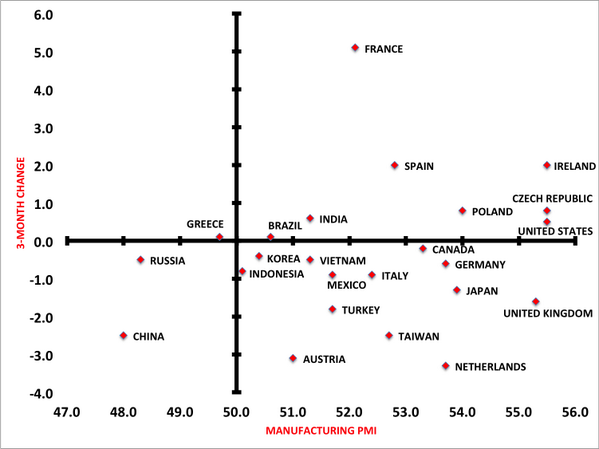 It shows on the x-axis the current PMI-index, this is the sentiment under purchasing managers at manufacturing companies. Currently Ireland, Czech Republic, United States and the United Kingdom are at very high levels (where higher than 50 means growth). France, Ireland and Spain saw there PMI growth the most in recent months.